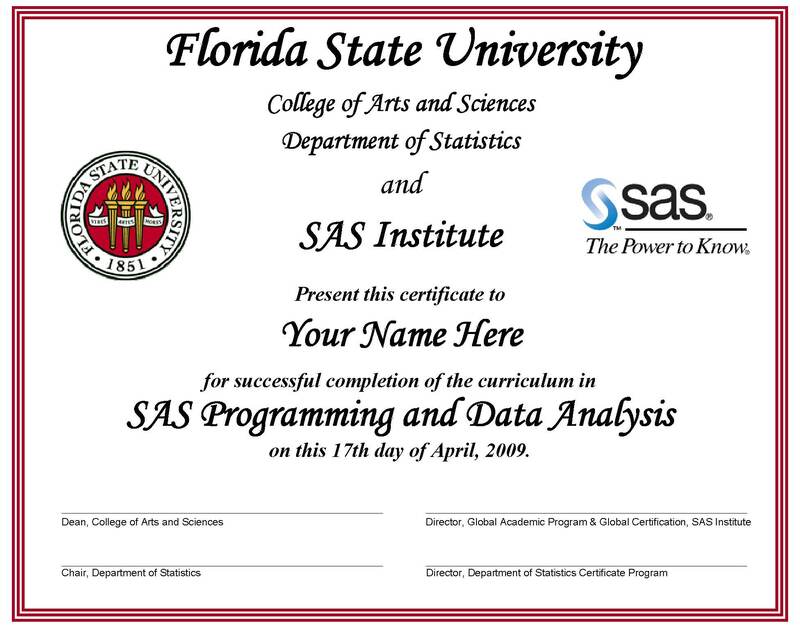 The Florida State University Department of Statistics and SAS Institute jointly offer a certificate in SAS Programming and Data Analysis. The certificate is earned by taking courses from the Department of Statistics. There is both an undergraduate and a graduate certificate. Both certificates require four courses (1 core & 3 electives) and that students compile a portfolio representative of their coursework. There is also an Undergraduate Certificate with Honors option. Click on the links below for more details.